Landlords and tenants enter a lease agreement under the assumption that both parties will fulfill the terms of that lease agreement. However, there are situations that may arise during the course of the lease that may cause either party to file to terminate the lease agreement. 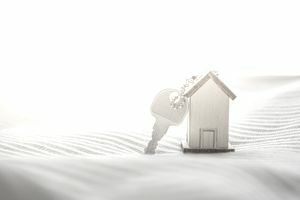 In Connecticut, there are legal reasons a tenant can file to terminate a lease agreement early without penalty. Here are a Connecticut tenant’s rights to terminate a lease agreement. If a landlord in Connecticut materially breaches the lease agreement or has not fulfilled his or her responsibility to maintain the premises, then the tenant has the right to withhold rent. Written Notice: The tenant must provide written notice to the landlord identifying how the landlord has breached the lease agreement and notifying the landlord that the breach must be remedied. 15 Days: The landlord has 15 days from this written notice to remedy the breach. Terminate Lease Agreement: If the landlord does not remedy the breach within this 15 day time period, then the tenant has the right to terminate the lease agreement. The lease will terminate 15 days after the landlord received the written notice. Repeated Breaches: If the same breach occurs within a six month period, then the tenant can terminate the lease agreement. The tenant must notify the landlord with written notice of the breach and give the landlord at least 14 days’ notice before the tenant intends to vacate the unit. The notice must specify the date of the breach and the date that the tenant will terminate the lease agreement and move out of the unit, which must be within 30 days of the breach. Exceptions: A tenant cannot terminate a lease for an action that was caused by the deliberate act or negligence of the tenant, a member of the tenant’s household or a guest of the tenant. Additionally, tenants that have a lease agreement that is shorter than one month cannot use this method to terminate the lease. Obtain reasonable amounts of the necessary utility themselves and deduct this amount from the rent. If the landlord fails to remedy the breach within two days of notice, then the tenant can acquire reasonable substitute housing. If the same breach occurs within a six month period, then the tenant does not have to wait the two days and can obtain substitute housing immediately. The landlord will be responsible for reimbursing the tenant for the cost of the housing, which cannot be more than the tenant’s actual rent, plus reasonable attorney’s fees. If the landlord is willfully withholding the utility from the tenant, then the tenant can terminate the lease agreement. The tenant may be awarded two months’ rent or double the actual damages, whichever is greater. The landlord must also return any security deposit and interest due to the tenant. Exceptions: If the breach of utility service was caused by the deliberate act or negligence of the tenant, a member of the tenant’s household or a guest of the tenant, the tenant is not entitled to any of these remedies. If a Connecticut landlord is attempting to enter a tenant’s unit for the purpose of harassing the tenant or is otherwise retaliating against the tenant, such as changing the tenant’s locks or increasing the tenant’s rent in retaliation, then the tenant may have the right to terminate their lease agreement. The tenant can get injunctive relief from the court to get the landlord to quit the behavior, or they can elect to terminate the lease. The tenant may be awarded damages and reasonable attorney’s fees. Tenants in Connecticut who have been victims of domestic violence have a right to terminate their lease agreement. In Connecticut, domestic violence includes family violence and sexual assault. These tenants must have a fear of imminent harm. The tenant must provide written notice to the landlord of the desire to terminate the lease as well as provide proof, such as a copy of a police report, restraining order or notice from another agency for victims of such crimes. Connecticut tenants who are beginning an active military assignment have the right to terminate their lease without penalty. They are protected by Federal Law under the Servicemembers Civil Relief Act, 50 U.S.C. App. §§535. The tenant must provide written notice to the landlord of his or her need to terminate the lease agreement for reason of active military duty along with a copy of their military orders. According to the law, the lease will terminate 30 days after the next rent due date.